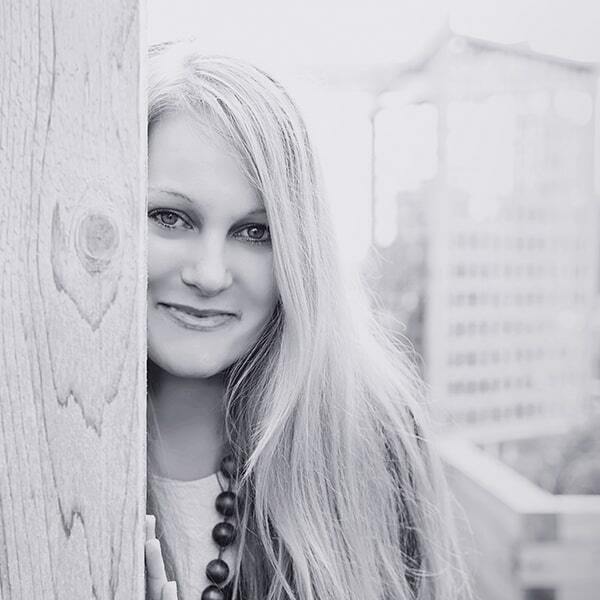 Are essential oils for hair? As you walk down the beauty aisles of any corner store, you will find a variety of products for hair. 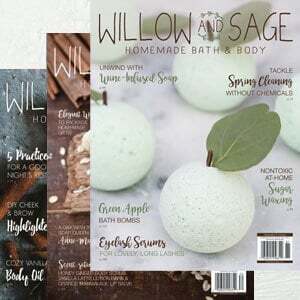 Many of which contain surfactants, parabens, and synthetic fragrance oils. Luckily there are many natural hair ingredients and essential oils are one not to be overlooked! 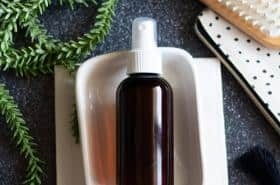 What are the best essential oils for hair? Adding essential oils for hair care into your regimen can go a long way to help ensure a healthy scalp and strong hair. Here’s a handy list of the best essential oils for hair. Pin it to return back to and keep reading for how to use each. Grab this printable essential oils for hair reference guide and more in the Life-n-Reflection Resource Library. 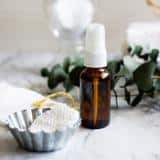 First off if you’ll want to choose an essential oil for hair based on your needs such dandruff control or hair growth rather than for fragrance. 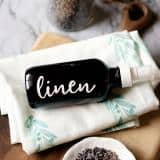 When you are creating things like room sprays, candles, and perfume with essential oil it is appropriate to choose oils based on their scent alone. But, when comes to our skin or hair for example we always choose an oil based on our needs. By choosing essential for your hair needs you can really make a difference in the health and appearance of your hair. The fragrance is just a bonus! 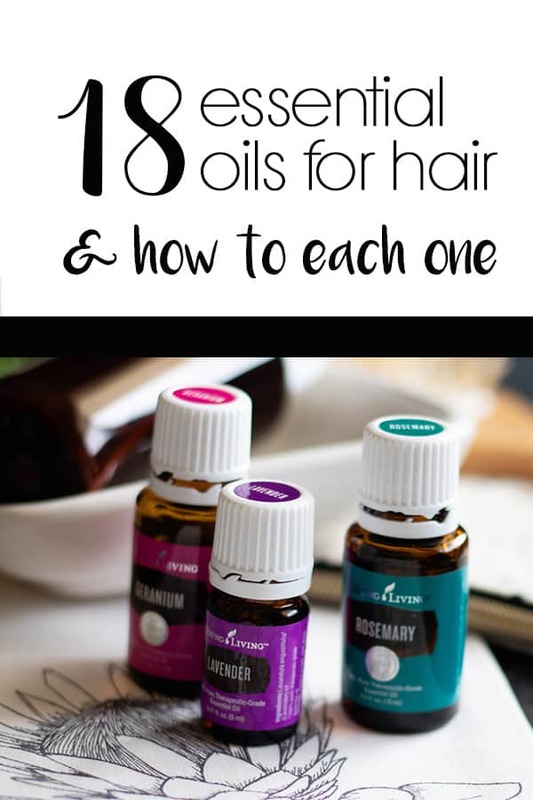 Use the guide below to learn how to use the best essential oils for hair. 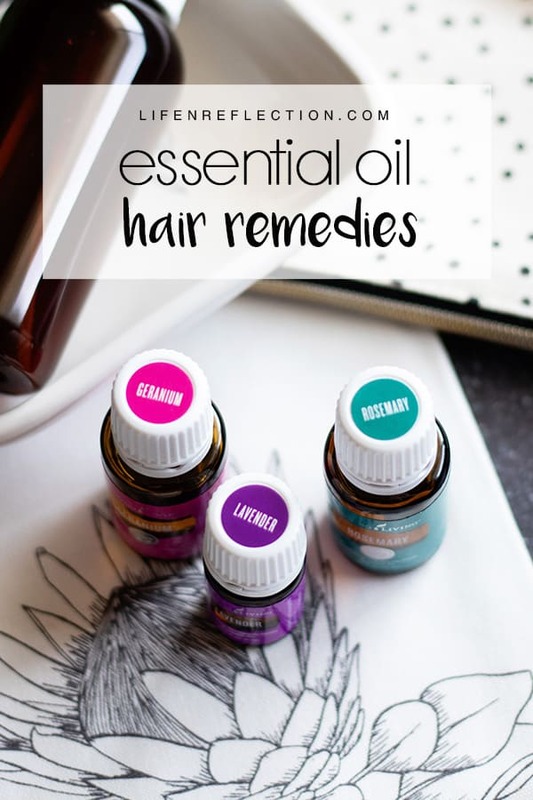 Some hair remedies are as easy as adding a few drops of essential oil to your shampoo, conditioner, or detangler. Others may include a scalp massage, mask, or other hair treatment. 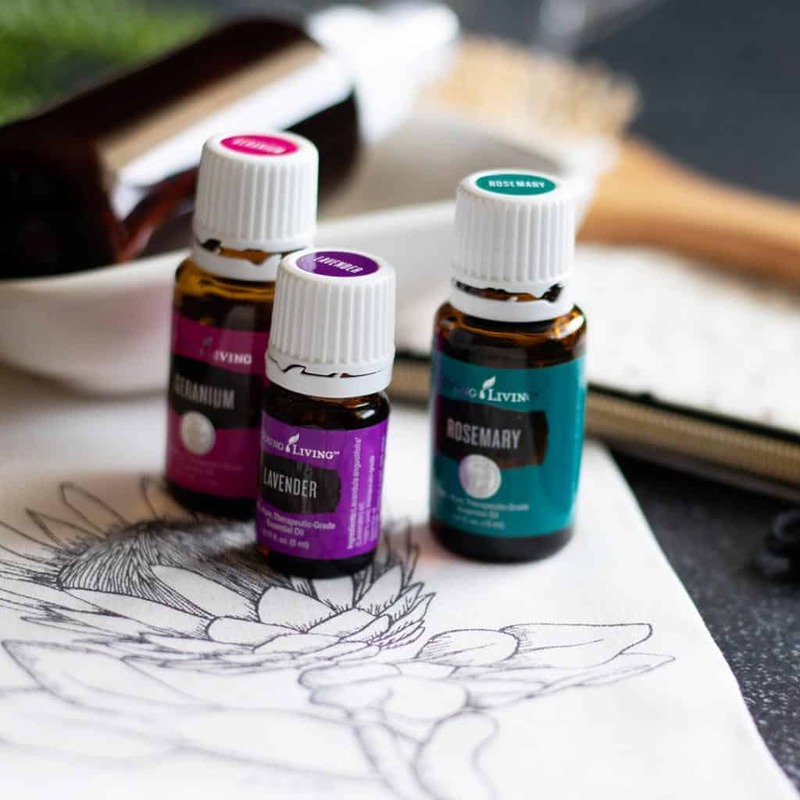 No matter which essential oil hair remedy you choose, make sure to always dilute first and never apply essentials without diluting to straight to your scalp. Native to the Mediterranean area, rosemary essential oil encourages blood flow to the scalp and helps stimulates hair follicles. This invigorating essential oil is a common ingredient used for anti-flake and premature graying in addition to thinning hair. Rosemary essential oil works to help balance the production of the sebum glands and clear clogged pores. Apply in a daily scalp massage for best results. Add 3 to 4 drops of rosemary essential oil to 1 tablespoon of jojoba oil. Massage into the scalp to clear clogged pores, stimulate blood flow, and rejuvenate the hair follicles to encourage new growth. 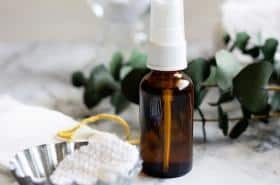 A second option is to simply add 10 drops of rosemary essential oil and 5 drops of peppermint essential oil to an eight-ounce bottle of conditioner. 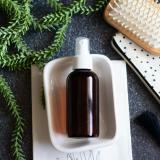 Massage a small amount of essential oil infused conditioner into your scalp and hair roots. Leave on hair overnight and wash hair the following morning. Lavender, cedarwood, and clary sage are also helpful for hair loss worries. 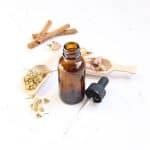 Many essential oils are naturally antifungal such as tea tree, peppermint, and rosemary. And lemongrass essential oil is incredibly effective for a flaky scalp. Apply this overnight hair mask to combat a dry, flaky scalp. Heat 2 tablespoons of coconut oil for 30 seconds in the microwave or low heat on the stovetop. Remove from heat and add 2 drops of lemongrass essential oil. Carefully massage the mask into the scalp for a good 5 to 10 minutes. Wrap with a warm towel and let stand for 30 minutes to an hour. Rinse and wash as usual. It’s common knowledge, exfoliation removes dead skin cells and promotes cell turnover – regardless of where it occurs. Read more about why you should include a scalp scrub in your hair care routine. Raise your hand if you got a bad haircut or treatment and wanted your hair to grow back fast! I’ve been there… Other than downing lots of flaxseed and taking biotin supplements I thought there wasn’t much else I can do. That is until I learned lavender is one the best essential oils for hair. Known to restore soft, silky hair lavender essential oil is truly suitable for every hair type and its sweet floral fragrance is a lovely afterthought. Lavender essential oils’ analgesic, anti-inflammatory, and antiseptic properties help to nourish hair and bring back its luster. I apply it daily with my homemade hair detangler. Rough and thick in texture, dry hair is susceptible to tangles and split ends. 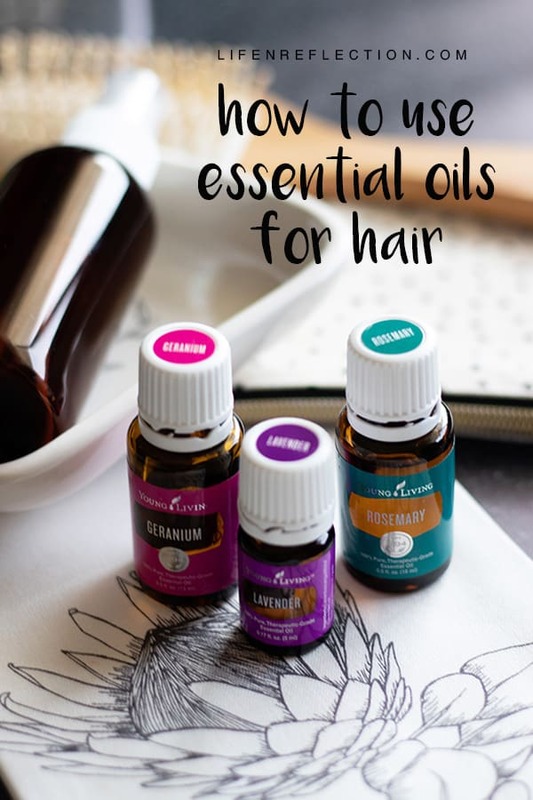 Luckily essential oils are quite helpful when it comes to making your hair strong and healthy. There are several essential oils to meet the needs of dry hair including rose, lavender, sandalwood, ylang-ylang, and more. Add 5 drops each of lavender and geranium essential oil to 1 tablespoon of coconut or argan oil to naturally condition hair. Massage into hair starting at the ends and working your way up. Avoid the scalp and hair roots. Find more quick dry hair remedies and don’t miss my DIY shea butter conditioner to seal in moisture and strengthen hair. Greasy, dull, and often lifeless looking oily hair can cause a bit of despair. The best essential oils for oily hair helps regulate the production of oil in the sebum glands of the scalp. 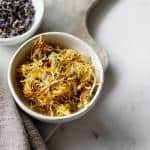 You choose from an array of essential oils including peppermint, lemongrass, rosemary, lavender, juniper, cedarwood, clary sage, and geranium to cut through the grease and help balance oil production. One the best ways to combat oily hair is dry shampoo. Spritz DIY dry shampoo spray on the roots of your hair before or after styling to absorb excess oil. 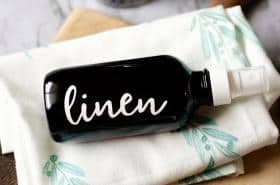 A tip I learned recently from Hello Glow to manage oily hair is to add 1 teaspoon of bentonite clay and 20 drops of essential oil in a blend of any of the above choices to a bottle of shampoo. Known more for its alluring fragrance, jasmine essential oil i beneficial to the scalp and hair. It acts as an emollient to lock in moisture. Apply up to 5 drops of jasmine essential oil to hair and a blend of 1 tablespoon of argan oil to form a protective coating around hair follicles. 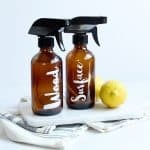 Or add to a homemade anti-frizz spray to prevent hair breakage and tame the frizzy hair. Last but not least, essential oils are helpful to prevent and repair split ends. And eucalyptus is the one of the best essential oils for hair. Mix 5 drops of eucalyptus essential oil with 2 tablespoons of aloe vera gel to moisturize and smooth split ends. As you can see adding essential oils for hair care into your regimen can really go a long way to ensure a strong hair and a healthy scalp. Pin this for later to return to anytime your hair gives you a new challenge. What’s your favorite essential oil for hair? Share it in the comments below! Don’t have your oils yet? Get Oily!